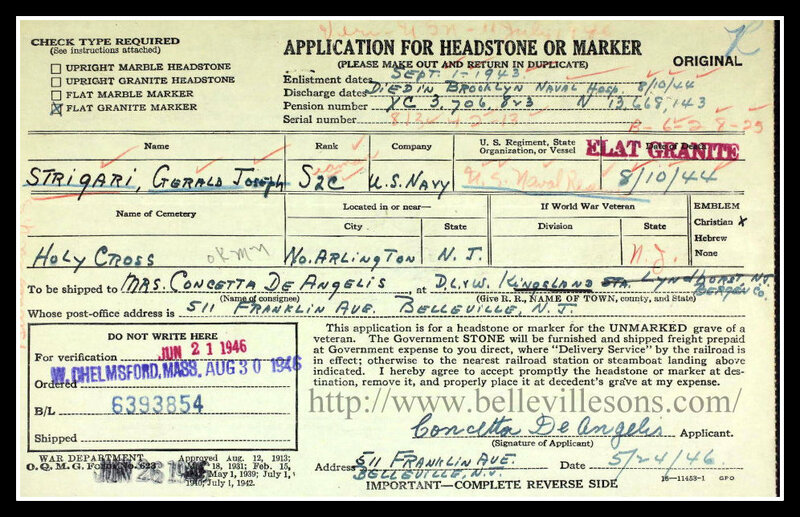 Seaman 2/c Gerald Joseph Strigari of 511 Franklin Avenue, Belleville, N.J., died in the Brooklyn Naval Hospital on Aug. 10, 1944. He enlisted in the U.S. Navy on Sept. 1, 1943. Seaman 2/c Strigari is buried at Holy Cross Cemetery, North Arlington, N.J.
BellevilleSons.com copyright © 2003-2018 By Anthony Buccino.